(BENSON) Working in high places comes with the territory for a journeyman lineman. But sometimes the job calls for going above and beyond what already gives many people sweaty palms. Last spring when steep, rocky terrain prevented Arizona Generation and Transmission Cooperatives’(AzGT) line crews from using bucket trucks below the lines, they worked above them. Linemen must fly at the end of a wire underneath the helicopter not only during the installation, but also to and from the staging area. 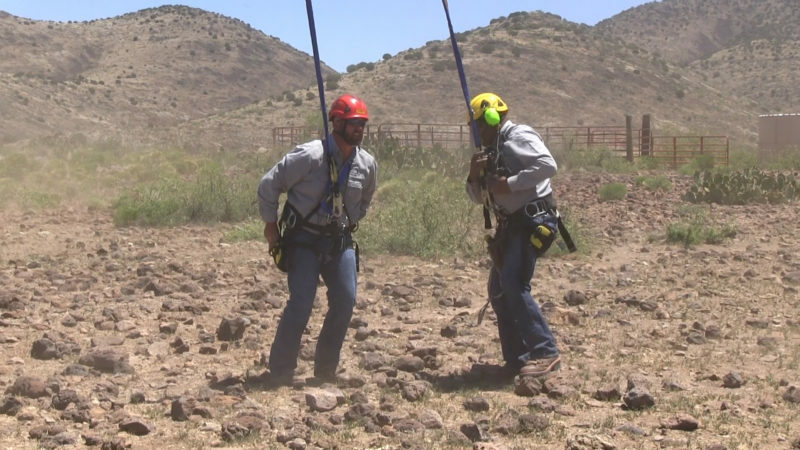 “This is probably one of the best options to do this,” said AzGT journeyman lineman Henry Patricio. 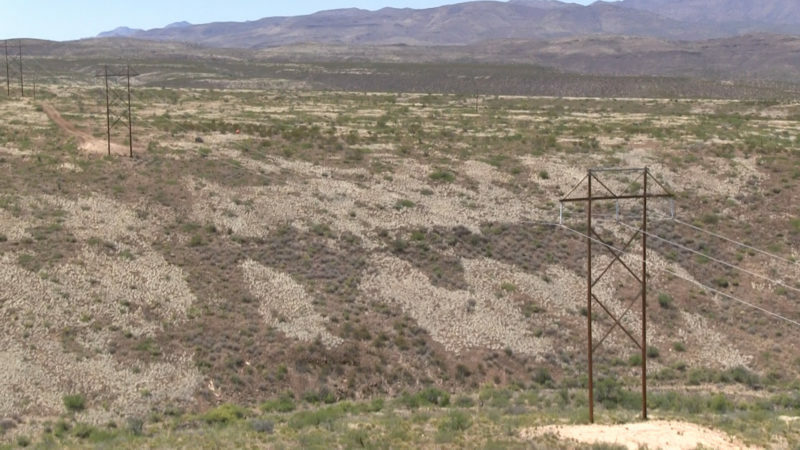 After installing fiber opticsalong the 230 kV transmission line between the Hackberry and Morenci substations, crews discovered that 23 of the marker balls along that line were so weathered that they needed to be replaced. But this job would require a special piece of equipment. 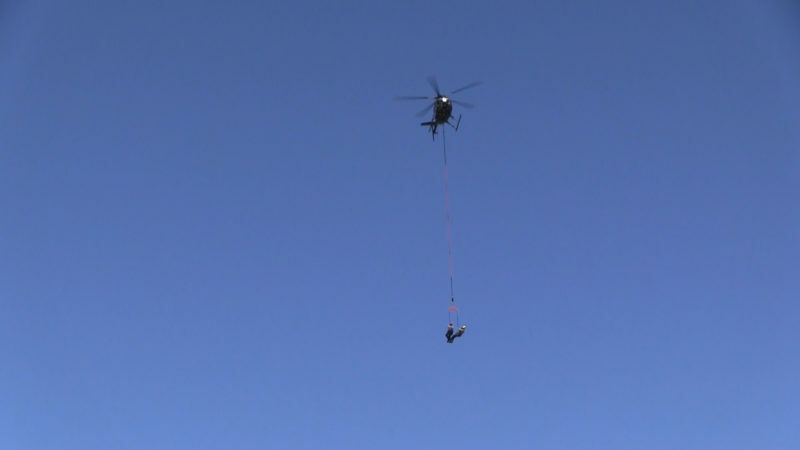 Steep and rugged terrain required the use of a helicopter instead of a bucket truck to replace the line markers. 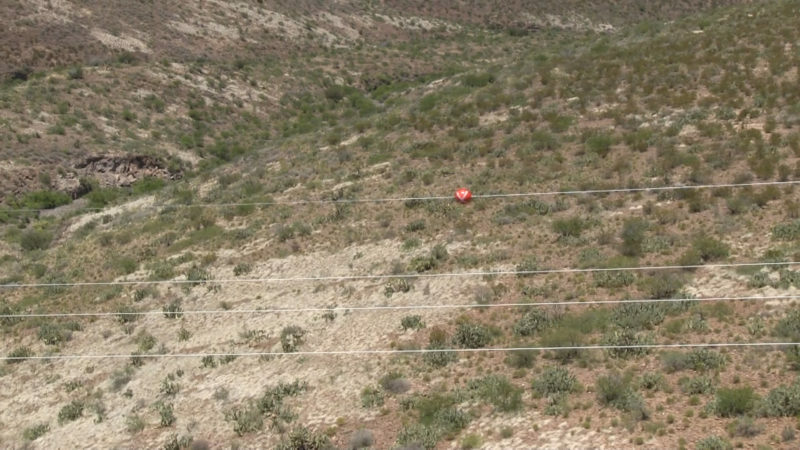 One of the new marker balls sits in place on the 230 kV line between the Hackberry and Morenci substations. “We couldn’t use the bucket trucks to get in there, so we ended up hiring a helicopter service and did them all using the helicopter,” said AzGT Transmission Maintenance Manager Robert Bivens. Journeyman linemen Jeremy Fenn (l) and Henry Patricio stand in their harnesses at the staging area while the helicopter hovers above them. 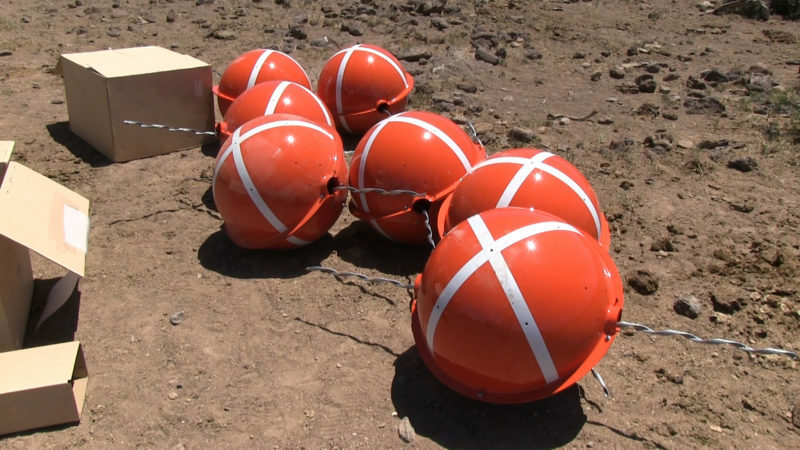 The operation required two linemen to fly at the end of a line underneath the helicopter from the staging area out to where they would replace each ball and return. “One guy will hold on to the ball, the other will grab a hold of the line, pull in, and we’ll attach the ball,” Patricio explained. During this procedure, the helicopter pilot must safely keep the team in place and counter any winds that might move them. “It’s a matter of holding the linemen steady up against the line but keeping them in position so they can install the marker balls,” said Jim Woodaman, pilot for Summit Helicopter. Pilot Jim Woodaman must hold the linemen in place while they do their job. The goal of all this work is to keep the area safe for any aircraft that fly through the area and to prevent any major damage to the transmission system. New marker balls await installation. “It’s really important because if we didn’t have (the markers) going through the canyons and an airplane or helicopter came though there and flew into (the lines), it would take the aircraft down and probably take a lot of structures down with it,” Bivens explained. As for flying hundreds of feet above the ground at the end of a wire, what some might consider a scare can be a thrill to the linemen who encounter such heights as part of the job. 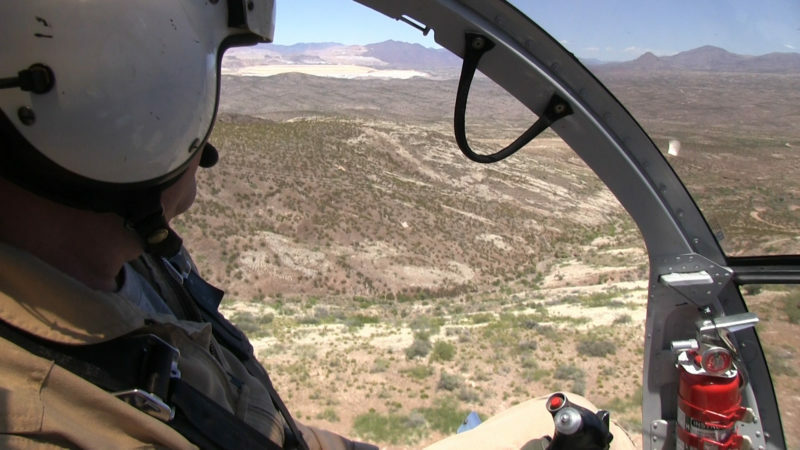 “It’s kind of like a once-in-a-lifetime job to work out of the helicopter, especially dangling down below them,” Bivens said. Fenn and Patricio fly back to the staging area after installing a replacement marker ball.